same as my other one but in feet for us stuck in the dark ages lol. Just a simple stop watch shows current time and last time and speaks the lap time as switch H is pulled and resets and carries on timing next lap. Gives spoken to 10th sec lap time and a screen record to 1/100th. use switch H but easily changed in script with a text editor. it does this repeatedly for each circuit, so have it on a custom function on a switch to use as you wish. This was a joint effort, Jenny did the gauges originally, opentx made the graph in another script, Nigelsheffield made the bmps, drawn background and put it all together in one script , changing the colour and look and removing the 1m hand for clarity. 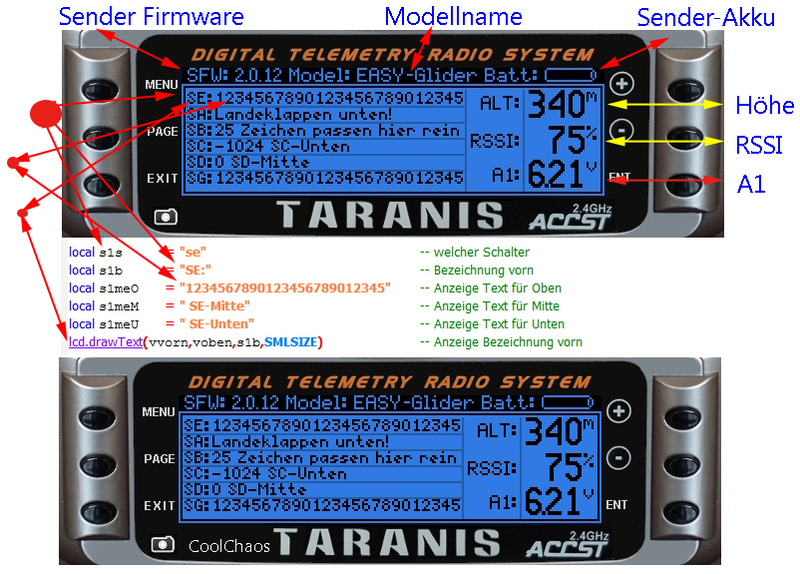 Instructions are included in the script, 2 versions are included, one drawn altimeter another using bmp for your choice. This script provides timing for all the F3K tasks except Poker. This srcipt alert you when the distance of your airplane and a GPS point is less than a distance. This is a telemetry script to average out your throttle so I can see what my average throttle input is for my quad. this telemetry lua nigelsheffield will give a 30 min graph of alt, each time timer 1 is reset the flight time and max alt is recorded, with 6 last flights on left and the 3 best times recorded on right. this telemetry lua by nigelsheffield http://www.rcgroups.com/forums/showthread.php?t=2237421#post29328259 is a simple increasing timer target game, as is target time starts at 10 seconds and goes up 5 seconds each time target is hit, after 10 hits the game is over and timer 2 value is used to give score. User need to create Special function "SFx SE- Lua Script EngSnd". If you turn on "SE-" then script will create SF in SF63. refer youtube clip for action. this will average the launch heights and ignore thermal climb out value, also give a count of launches and number of launches over 29m. This script is for F3X sailplanes with flaps. It allows the pilot to adjust snapflap deadband using a transmitter control (typically S1/S2). This one-time script help you to calculate the Center of Gravity (COG) of your airplane. Telemetry screen is based on FrSky FAS-100 Current/Voltage/Consumption/Power Sensor. Modified #2 Lua from OpenTX website. Script to "lag" a source. Collects source and returns it later. set source required. 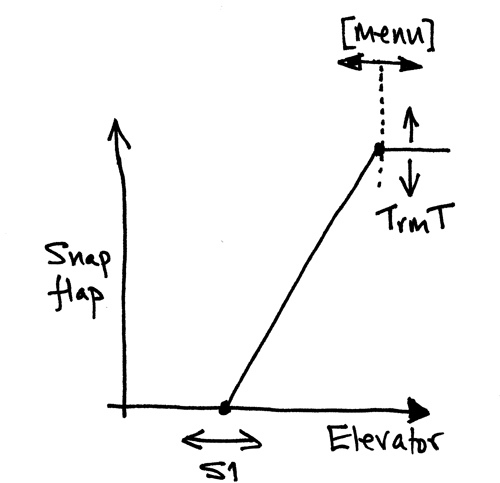 Set delay required in times - 1 to 100 in steps of approx 30milliseconds.